Mon – Fri: 9:30 a.m. – 5:30 p.m.
Sun: 12:00 p.m. – 3:00 p.m. 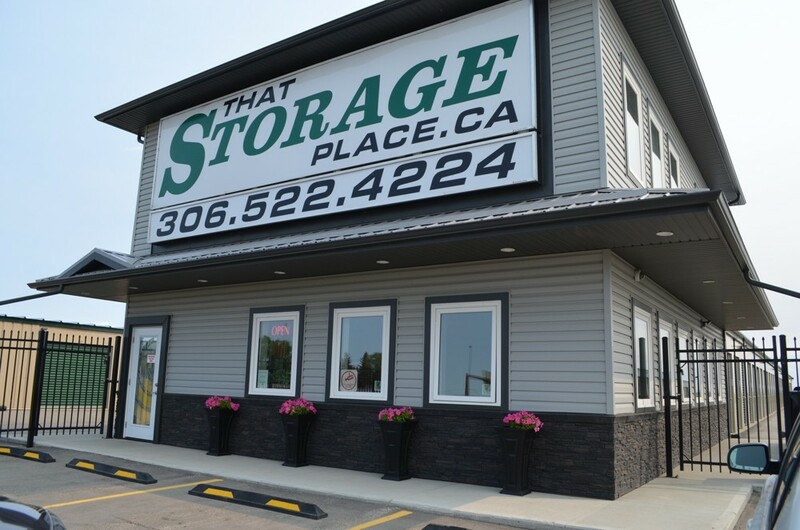 Welcome to That Storage Place – Regina’s #1 self storage facility! 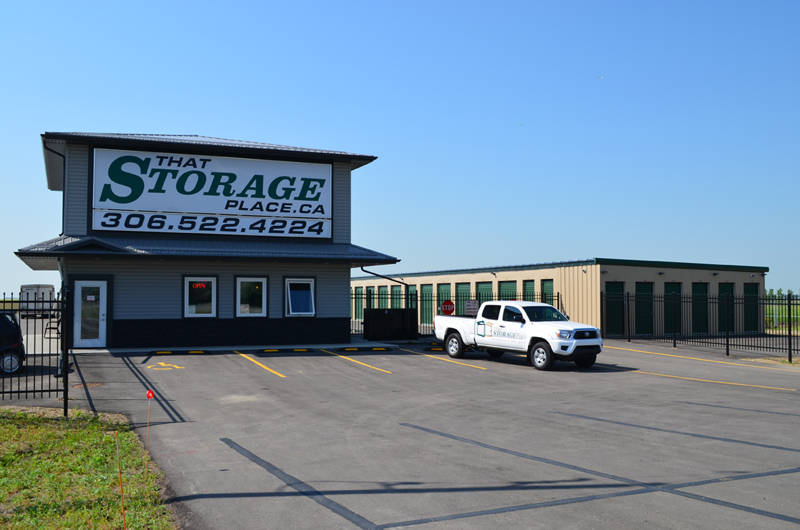 Opened in April of 2014, we are a new state-of-the-art public self storage facility. 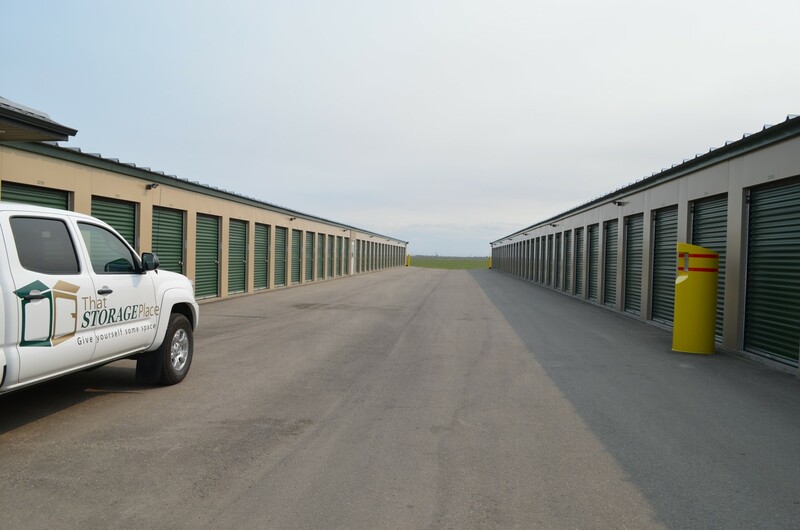 We are ready to serve local businesses and residents with clean and affordable storage solutions. When it comes to storage, we have the solution. We have hundreds of Regular and Heated storage spaces to choose from in a wide array of sizes. 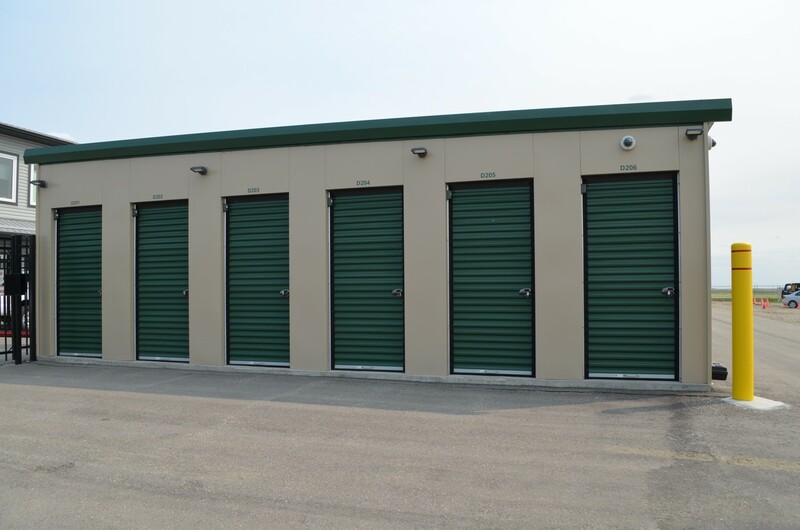 All of our storage units are located at ground level, and we have 24/7 gate access. Our facility is protected by recorded video surveillance and electronic access with security code. Each unit has an individual door alarm. We also offer Content Protection Plans for added peace of mind. That Storage Place offers a variety of self-serve storage solutions. We offer moving and packing supplies for sale right onsite – everything from boxes and locks to packing tape and bubble wrap. We are located southeast of Harbour Landing and east of the Lewvan & Hwy.#1 Intercharnge. Contact us to reserve your storage space with us! For more information, visit our Features and Units Available pages.